Last week, I had the pleasure of meeting with some of the team at Green City Works — a subsidiary of University City District in West Philly that does truly spectacular landscaping, and supports a remarkable group of people who would otherwise have a hard time finding a job. Photo by Ben Tran, courtesy of University City District. It was one of those weeks where I was on hold with the IRS for multiple hours, working through various permit and license applications, and spending a lot of time talking to our lenders (who are wonderful, but let’s be honest, not where I turn when I need inspiration). My conversation with Brian and Alissa of Green City Works was a much-needed reminder to keep our eyes ahead, because at the other side of all this is the opportunity to make a beautiful product and also make a difference in people’s lives—just like Green City Works does. Green City Works hires people who have completed University City District’s job training program, the West Philadelphia Skills Initiative. 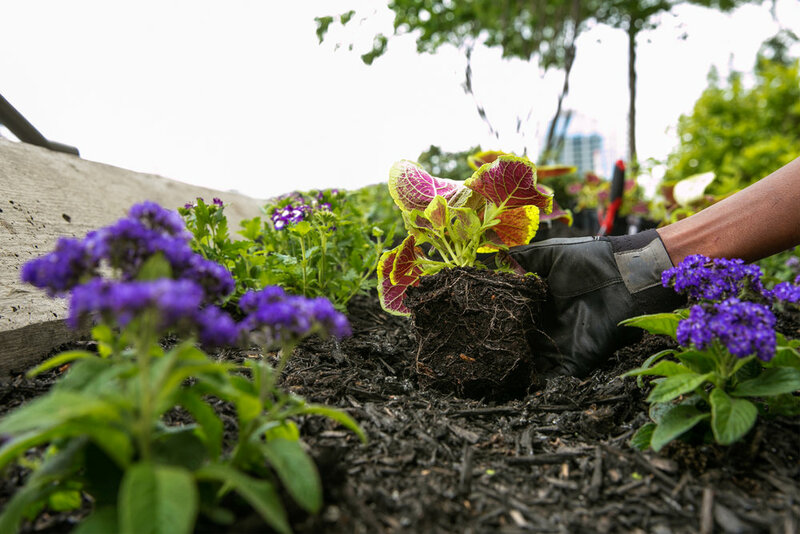 All of the enterprise’s team members work 40 hours a week, year round — which is unusual in the landscaping business, where most workers get laid off for winter. While Green City Works provides ongoing coaching to its team, both in soft skills and technical skills, it really ramps up this coaching in the winter, when landscaping is a lot slower. All of their landscapers get benefits and a living wage, and the support of an employer who recognizes their strengths and wants to see them thrive. It is so invigorating to share ideas and learn from the experiences of people like Brian, Alissa and the Green City Works team. Thank you for the work you do making Philly more beautiful and lifting up the strengths of so many people who don’t normally get the chance to share them. We can’t wait to see how you continue to grow and make your mark on this city!